…is the definition of a bad day if you’re a WordPress website owner. I know that you’re probably a bit scared right now, but let me assure you that this problem can be fixed and any permanent damage can be prevented. In fact, the error establishing a database connection is quite common. As much as I don’t want to play Captain Obvious here, the nature of the error is self-explanatory – it’s an error establishing a database connection. WordPress uses two main pieces of technology to provide you with all its awesome abilities: PHP and MySQL. PHP is a programming language. WordPress – the core WordPress files – have been written in PHP. Boring, sorry. MySQL is a database technology. WordPress uses a MySQL database to store all of your website’s content. This includes your posts, pages, but also the smaller elements, such as the title of your site, the layout of your widgets, the color settings, and etc. Basically, the MySQL database is where every, even the smallest piece of information about your website, is kept. Putting the two together, WordPress uses PHP commands to connect to the MySQL database, get the information it needs, and then displays everything on the screen. ✅Incorrect login credentials. 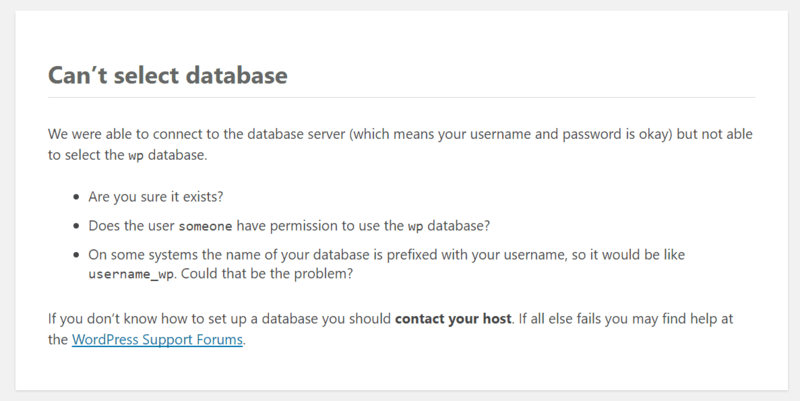 WordPress needs a specific login and password to access the database. If those have changed for any reason then WordPress will no longer be able to fetch anything from the database. ✅Corrupted WordPress files. The core WordPress files can get corrupted as a result of a failed update, among others. This can include things like failed updates of the plugins, themes, and even the main WordPress software updates. ✅Corrupted database. This might be a result of a rogue plugin messing up the database internally, a hacker’s attack, a theme failing, and many more. ✅The database server is down. In some cases, the web server – the server that stores your website files – is run on a different machine than the database. And that separate database server can simply be down for whatever reason. ✅Too much traffic. Even though this is a good problem to have, it’s still a problem. Specifically, your database might be unresponsive due to a high spike in traffic. For example, maybe one of your posts went viral and now everyone and their dog tries to access your site? Hence the server is not able to handle part of those visits. Since I value your time, I’m going to first recommend a path that’s the most likely to fix the problem for you quickly. Then, I’ll dig deeper and show you how to do all the fixes on your own manually. It’s safe to assume that if your site was working just a minute ago (or a day ago) and now it isn’t then the fault can be on your web host’s end. All quality hosts these days offer some form of fast-reacting support, usually through live chat. if there isn’t any spike in activity or traffic on the server right now. Most importantly, they will let you know if your database is alright and whether or not there’s any suspicious activity on the server. Your WordPress files might get corrupted as a result of a couple of misfortunate events. For instance, maybe you’ve updated a plugin or a theme, and the whole thing collapsed? Maybe you hooked the site up to an external service? Maybe you hand-edited some of the files? If any of the above ring a bell, you probably have your culprit. If you haven’t done any of that, skip this step. 1. First, connect to your host via FTP. You can do this with a free tool called FileZilla. In order to connect, you need a login and a password to your FTP account. If you don’t know what/where those are, the easiest way to get them is to search through the initial emails that you got from your web host when you first signed up. Alternatively, you can ask the live chat support representative to give you those details. 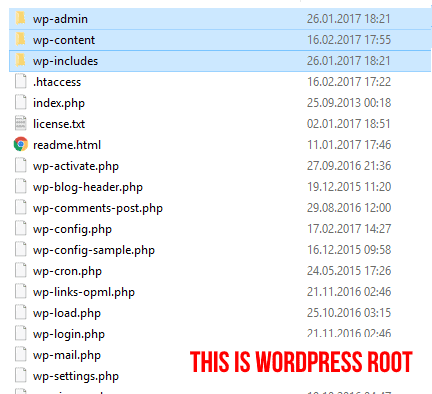 Having them, connect to the server and navigate to the WordPress root folder. It’s usually called “public_html” or “www” or you might be in it already once you establish the FTP connection. 3. Go back to your site and see if the error is still there. The WordPress database is a fairly complex thing, and there are a lot of small cogs that need to stay working together perfectly to avoid trouble. At times, something goes out of place and that’s when you see the error establishing a database connection. Another possibility is that you’ll see a message starting with “One or more database tables are unavailable […]” This means that it’s you who needs to “repair” the database. As I mentioned, WordPress uses a specific username and password to connect to the database. Normally, those access credentials don’t change on their own. However, you can experience some weird scenarios after making any changes to your site files, the hosting environment, or anything else. In other words, even though it shouldn’t be happening, the access credentials sometimes do change. 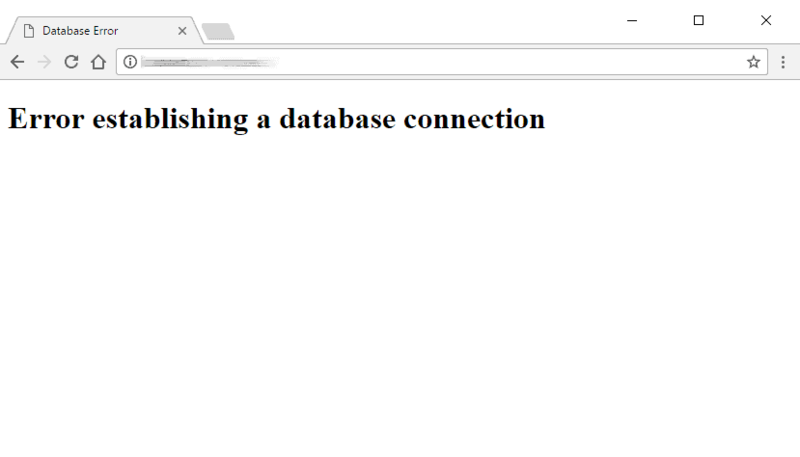 And with bad access credentials – “error establishing a database connection” happens! 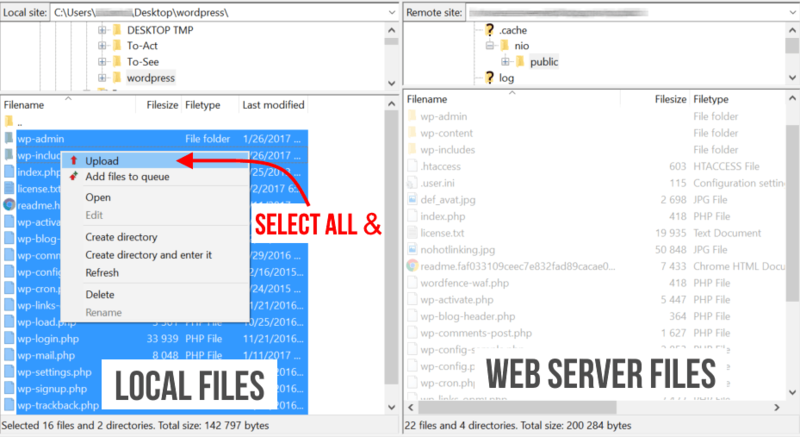 Take those four lines from the “wp-config.php” file, simply copy them to the clipboard, contact your web host support again, paste those lines in the chat window and ask if the details are correct for you to be able to connect to your database. The representative will check everything, and come back to you with some feedback. Most often, they will provide you with the correct details in case anything has been changed. Finally, re-upload the file via FTP. As I mentioned before, the core WordPress files can get corrupted for a number of reasons. Maybe there’s been a hacking attempt on your site, maybe you modified some files by accident, maybe a rogue plugin did the modification. Go here, and download the newest package to your desktop. Unpack. Browse through the unpacked archive and delete the “wp-content” folder. This is a last resort kind of fix. 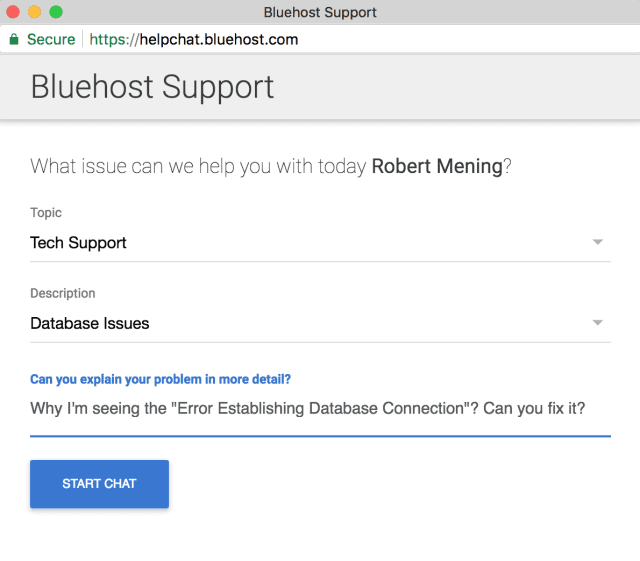 If this doesn’t help, you will have no other choice than coming back to your web host support line, tell them everything that you’ve done and ask for help. At this stage, you’ve basically exhausted everything you could do to fix the issue yourself and it’s the host’s turn to solve it. You’re paying your hosting bills after all, aren’t you? How To Avoid This Error In Future? Quality hosting. Work only with hosts that have optimized their platforms to work with WordPress. That way, you can always count on the knowledgeable support and fast help. Not to mention that you will also avoid many common WordPress problems. Here are my recommendations. Have backups. Install a simple backup plugin like UpdraftPlus (it works automatically) and you should always have a working WordPress backup that you can restore in case everything else fails. I hope this guide helps! And as always, feel free to reach out to me if you’re having some tough time with an error establishing a database connection. ALSO CHECK that your payment isn’t over due to your hosting provider. DREAMHOST shut my hosting down when I was late on payments – resulting in this error. This article is very informative. It’s the best guide for beginners who don’t know about database setup on WordPress. You discuss this step by step. That’s why I love your articles all time.